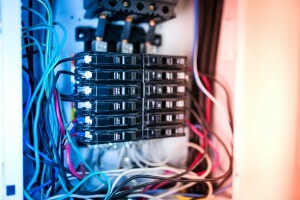 Home // Articles // Does Your Home Need an Electrical Panel Upgrade? How Does the Electrical Service Panel Work? 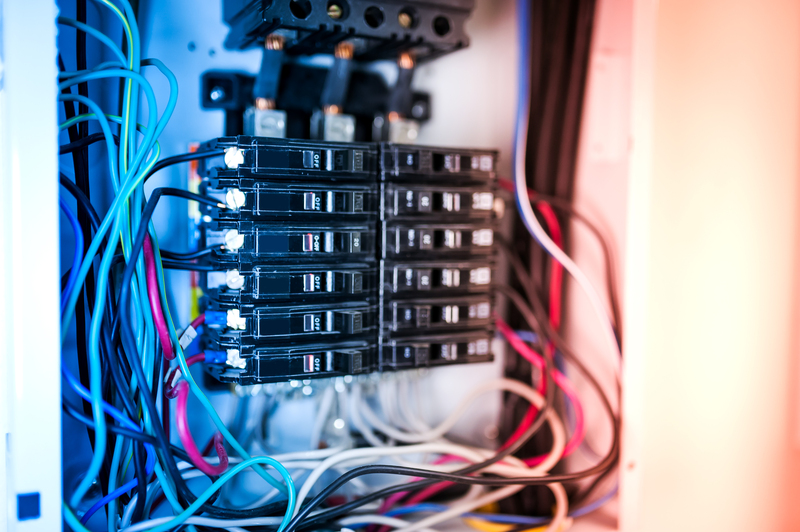 Your home’s electrical service panel routes power to each room. Also known as a breaker box, you’ll recognize it as a gray metal box with a hinged door or panel that lifts. Acting much like a telephone switchboard, an electrical panel contains several circuit breakers or screw-in fuses. Each of these breakers or fuses controls the available current to one or two areas inside your house. Some of these issues are caused by overloads, or when circuits are forced to draw more power than they were designed to handle. Short circuits can occur when wires within an appliance or your home’s electrical system become loose or damaged. Exposure to moisture is also a possible cause, especially since basement breaker boxes can be affected by leaks in ceilings or walls. While you can inspect your breaker box for these problems, it’s unwise to attempt any maintenance yourself. For your electrical panel upgrade, select a skilled technician. This professional can safely perform your repairs and upgrades, ensuring that the new equipment can handle your home’s power requirements.